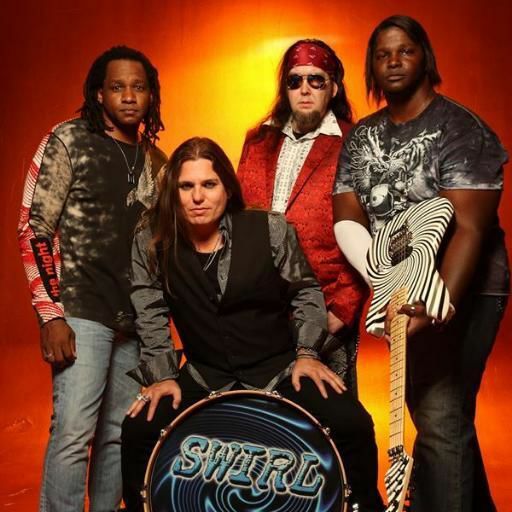 Swirl was formed by guitarist Duane “DT” Jones in Washington State. The earliest version of the band scheduled a recording session in Southern California, but due to a scheduling conflict, the original drummer was a last minute cancellation. One brief phone call later brother Brian “Bam Bam” Jones was brought in to record drums and became a permanent member of the band. Swirl went on to release their debut CD ‘Out Of Nowhere’. The disc was produced by Carlos Cavazo (RATT/ Quiet Riot) and Matt Thorr (Rough Cutt/ Jailhouse). Swirl toured the United States and Japan in the early 2000’s and achieved moderate success. In 2008 “DT” entered the recording studio of Cinderella drummer Fred Coury with vocalist Alfred Ramirez. That session gave birth to the songs “Adrenaline” and “Sleepwalker” (both songs were produced by Fred who also played drums on the tracks) and reignited Swirl. The two songs led to management interest and tour offers. “DT”, Brian and Alfred recruited bassist Shane Carlson to finalize the lineup for Swirl. Between 2011- 2012 Swirl had a musical makeover and began writing and recording new music. The band removed themselves from the LA area to record at Baxter Rd studios in Wildomar, California. The members of Swirl decided to use the lessons learned from previous recording session mentors to self-produce the new material with post production and mastering done in Lake Elsinore, California with James Rieger.